Dele Alli is a professional footballer from England who plays as a midfielder for his national side England. He started playing for the senior team of England in 2015. Before that, he played for England’s U21, U19, U18, and U17 teams. Talking about the clubs, he has played for Milton Keynes Dons and Tottenham Hotspur. He has endorsed Adidas in the past. He scored a goal for his team in the FIFA World Cup 2018 held in Russia during a quarter-final match against Sweden on July 7, 2018, in the 58th minute, helping his team win the match by 2-0. Dele lives in a lavish mansion in a gated community near Elstree, Hertfordshire. He bought the house for £2million in January 2017. Dele Alli started his soccer journey at the age of 11 by joining the youth academy of his hometown club Milton Keynes Dons. Others – When he was 13 years old, he moved to live with fellow MK Dons youth team-mate Harry Hickford’s family. Although they never formally adopted him, he considers Hickford’s (Alan and Sally Hickford) as his adoptive parents. 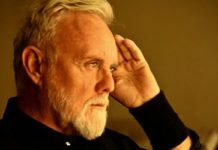 Some sources maintain that his mother Denise was an alcoholic and wasn’t able to take proper care of him, so he moved to live with Hickford’s. However, his parents have maintained that he lived with Hickford’s for the sake of convenience and he used to come home for the weekends. Dele Alli is represented by Harry Hickford. His commercial interests and commitments are looked after by CAA Sports. Ferne McCann (2016) – In March 2016, Dele hooked up with the reality TV personality, Ferne McCann. They were seen together at London’s Libertine Club. Later, in April 2016, she was seen at Dele’s birthday party. 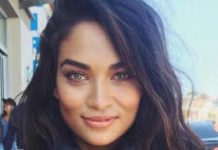 Ruby Mae (2016-Present) – According to reports, Dele started going out with model Ruby Mae in the early months of 2016. Their relationship became public in June 2016 after he headed to Mae in the stands after England’s humiliating defeat to Iceland in the 2016 Euro. Since then, Mae has been regularly seen in the stands for Spurs and England soccer matches. 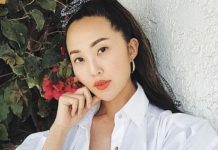 In July 2017, it was reported that their relationship was on the rocks as pictures of him getting cozy to scantily clad ladies during a wild trip to Las Vegas were leaked. But they emerged closer than ever from the scandal. On his father’s side, he has Nigerian ancestry. While on his mother’s side, he is of English descent. 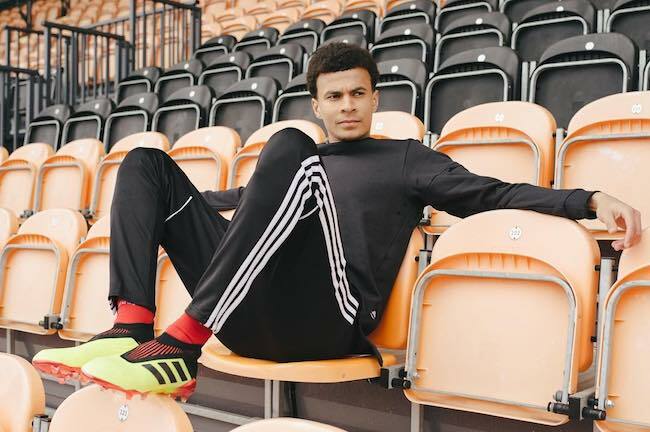 Dele Alli has a personal endorsement deal with Adidas. He wears their cleats for his professional and international matches. He has also appeared in the TV commercials for the popular sports brand. In 2018, he appeared alongside Lionel Messi, Marcelo, and Toni Kroos in a TV commercial for Pepsi. Being one of the finest young midfielders in the English football. By the age of 21, he had twice won the ‘PFA Young Player of the Year’ award. His two victories came on consecutive years. His strong performances for the Premier League side Tottenham Hotspur. He has delivered match-winning performances in Spurs matches against top 6 clubs including Chelsea and Arsenal. In November 2012, he made his professional debut in Milton Keynes Dons FA Cup, first round match against Cambridge City at Milton Road. He was just 16 years old and was sent in as a substitute in the 64th minute. In August 2015, he made his first competitive appearance for Tottenham Hotspur in a Premier League match against Manchester United. In October 2015, he made his debut for the England national team in a UEFA Euro 2016 qualifying match against Estonia. He replaced Ross Barkley late in the match. Goes to the ground too easily because of which he has been booked for diving on a couple of occasions. In 2016, Dele Alli made his first TV show appearance on the sports talk show, Final Score. He grew up in a poor household. He claims that he wasn’t able to pay £1 to attend kids’ football training session from Under-9 to Under 11 at the local youth center. The authorities eventually agreed to let him play for free. 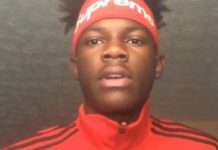 While growing up, he used to borrow shoes from the older boys for his soccer matches. He was lucky that he had big feet and the shoes fit him perfectly. 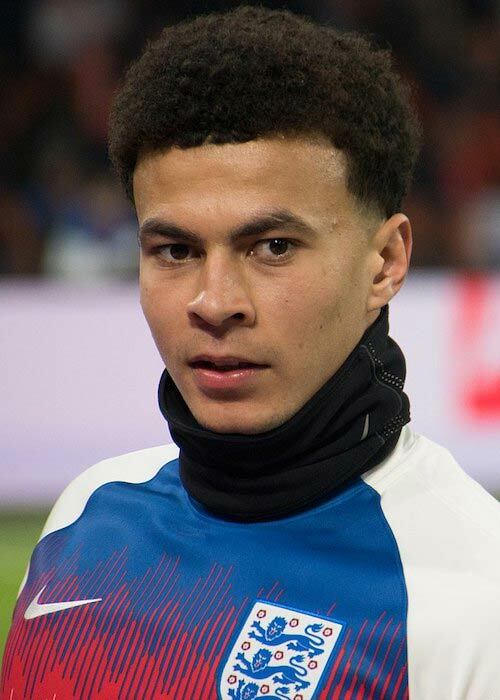 Dele Alli is known for his fluid and flamboyant playing style and his first touch as a professional soccer player was symbolic of it as he executed a perfect back-heeled pass in his first appearance for Milton Keynes Dons. In August 2014, he grabbed the attention of the whole English top flight as he played a key role in the 4-0 humiliation of Manchester United in a second round match of League Cup. It was claimed that scouts from European heavyweights such as Liverpool and Bayern Munich were watching him. In September 2014, he signed a contract extension with MK Dons to extend his stay with the club till June 2017. However, he didn’t remain MK Dons player for a long time as Tottenham Hotspur purchased him in a deal worth £5 million in February 2015. Spurs decided to loan him back to Dons till the end of the season. For his contribution to Dons’ successful 2014-15 season that ended with their promotion to the English Football League Championship, he was selected as the Young Player of the Year at the Football League Awards. In April 2016, he was slapped with 3 matches ban by the English FA for having punched Claudio Yacob in the stomach in the Spurs match against West Bromwich Albion. In February 2017, he was shown a red card for a dangerous tackle on K.A.A. Gent ‘s Brecht Dejaegere in Spurs’ UEFA Europa League ‘Round of 32’ match against Belgian side. He lunged in with his studs and hit Dejaegere just below the knee. In March 2017, Alli was slapped with a three-match ban by UEFA disciplinary committee for his horror tackle on Dejaegere. 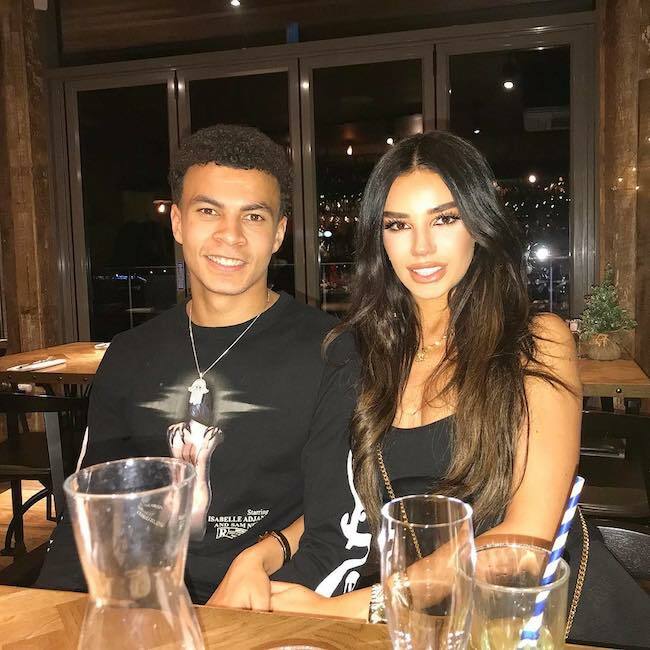 In May 2018, Dele launched his exclusive clothing range in collaboration with British clothing brand boohooMAN. In November 2016, he started his real estate company Future Homes Investments Ltd. He has appointed his best friend and manager Harry Hickford as the company secretary.